Ficus trees are a common plant in the home and office, mainly due to the fact that they look like a typical tree with a single trunk and a spreading canopy. But for all of their popularity, ficus plants are finicky. However, if you know how to care for a ficus tree, you’ll be better equipped with keeping it healthy and happy in your home for years. What is commonly referred to as a ficus is technically a weeping fig. It’s a member of the Ficus genus of plants, which also includes rubber trees and fig fruit trees. But when it comes to houseplants, most people refer to a weeping fig (Ficus benjamina) as simply a ficus. Ficus trees can maintain their tree-like shape regardless of their size, so this makes them ideal for bonsais or for massive houseplants in large spaces. Their leaves can be either dark green or variegated. In recent years, some imaginative nurseries have started to take advantage of their pliable trunks to braid or twist the plants into different forms. Ficus trees also cannot tolerate low temperatures or drafts. They need to be kept in temperatures above 60 degrees F. and actually prefer temperatures above 70 degrees F. Cold drafts from windows or doors will harm them, so make sure to place them somewhere where drafts will not be an issue. When growing ficus indoors, it is important to maintain a relatively high humidity around the plant. Regular misting or setting the ficus tree on a pebble tray filled with water is a great way to increase their humidity. But keep in mind that while they like high humidity, they do not like overly wet roots. Therefore, when watering, always check the top of the soil first. If the top of the soil is wet, do not water as this means they have enough moisture. If the top of the soil feels dry to the touch, this indicates that they need water. Also while caring for a ficus plant, you should be aware that they are rapid growers and require plenty of nutrients to grow well. You will need to fertilize once a month in the spring and summer and once every two months in the fall and winter. If your ficus is losing its leaves, go through the checklist of proper ficus tree care and correct anything that you find wrong. 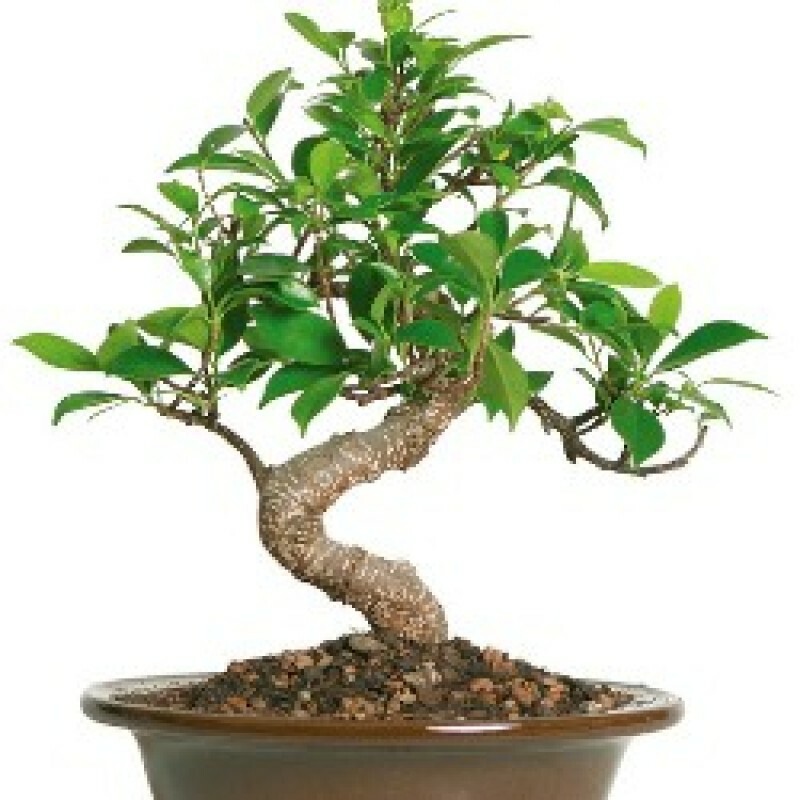 Ficus are also prone to pests such as mealybugs, scale and spider mites. A healthy ficus tree will not see these problems, but a stressed ficus tree (likely losing leaves) will surely develop a pest problem quickly. “Sap” dripping from a ficus houseplant, which is actually honeydew from an invading pest, is a sure sign of an infestation. Treating the plant with neem oil is a good way to handle any of these pest issues.